When you want to make changes to your existing pool, Summerhill Pools is here to help. 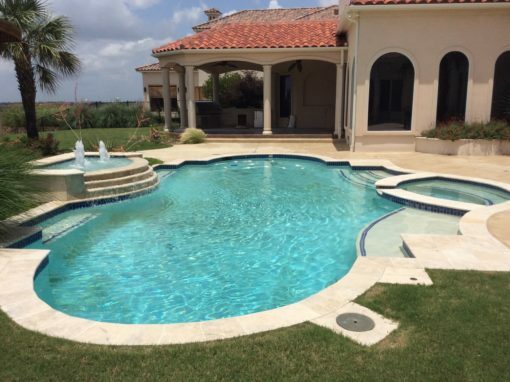 We provide dependable pool remodeling services for homeowners in the Dallas area. Our outdoor pool remodeling services can help you add more features to your pool or improve your pool’s appearance if it’s looking worn or outdated. When you rely on the experts at Summerhill Pools for your remodeling project, you can count on having it done within a reasonable timeframe. Our construction teams also follow strict safety guidelines to ensure that your pool remodeling is done properly. Pool re-tiling involves replacing tiles to update the pool’s appearance. Pool Resurfacing. Over time, the surface of your pool shell can show signs of wear and tear that give it an unpleasant appearance and can compromise the integrity of the pool. Resurfacing provides your pool with a brand new surface that will improve its appearance and make it more comfortable for people to swim in. Deck resurfacing is done to improve the appearance of decking that is faded, worn out, or outdated. A new deck surface can enhance the appearance of your entire pool area. Adding pool lighting or changing existing lighting can create a visual effect, provide your pool with a safe swimming environment at night, or simply provide you with more energy-efficient lighting than you had before. Size changes add swimming area to pools or make pools take up less space in the yard. You might decide to make your pool smaller, for example, if you plan on adding a patio or other outdoor living space. New homeowners may make size changes to pools if their needs are different from the previous owner’s. Depth renovation will make your pool either deeper or shallower. You might want a shallower pool if you have young kids, or you might consider a deeper pool if you want to add a water slide or diving board. Energy-efficient changes will make your pool less costly to operate and maintain overall. You can do this in different ways, such as by adding LED lights or by having variable speed pumps installed. 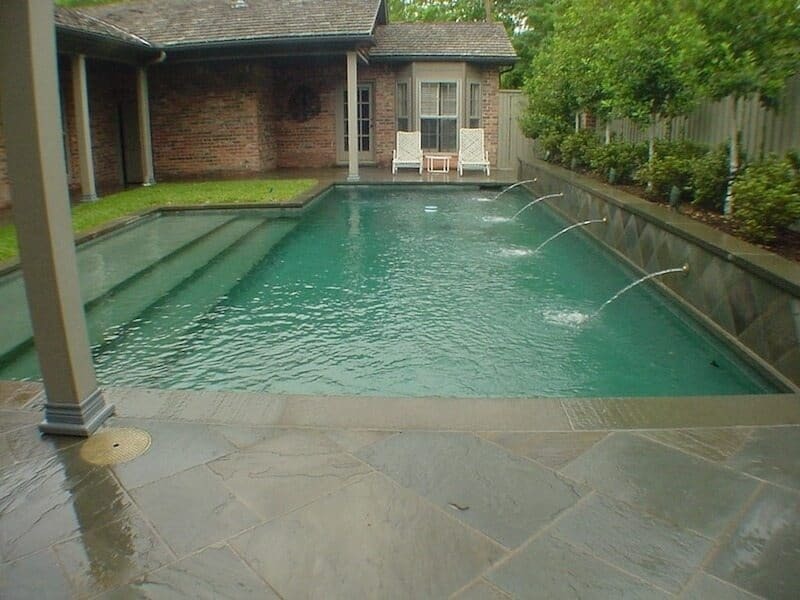 Water features provide aesthetic appeal to pools. Different features that are available include waterfalls, water curtains, rain walls, and water arches. Adding new design features to update your pool can add a luxurious look and feel. New features to consider include rock slides, tanning ledges, and swim up bars. When it comes to pool remodeling, you don’t want to leave the job to just anyone. Pool remodelers must complete projects with care and attention to detail while also adhering to safety guidelines. 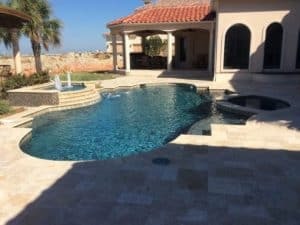 When you need to find a pool remodeling company in Dallas, TX that offers this quality of service, you can rely on Summerhill Pools. We’ll make sure that your remodeling job is done safely and properly so you won’t run into problems or issues with your pool down the line. 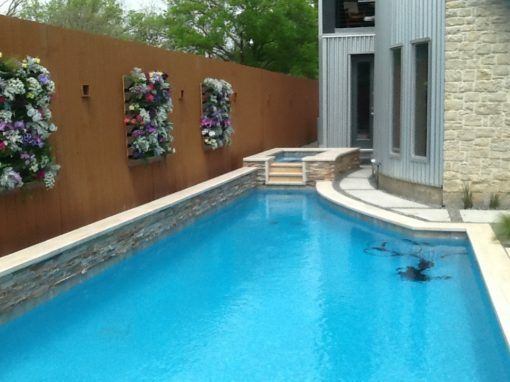 At Summerhill Pools, we have been providing pool remodeling services for homeowners in and around the Dallas area since 1989. Our team of experts can handle a wide range of remodeling projects, ranging from small and simple changes to large, complex ones. 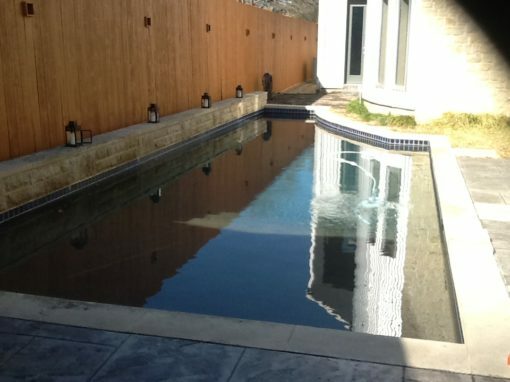 We’ll meet with you to discuss the type of remodeling or renovating you would like for your pool. Whether you just need new tiles or want to have your entire pool reshaped, we can handle it. When you hire Summerhill Pools for your pool remodeling project, you can rely on receiving dependable, high-quality service. Our experts will take care of your remodeling needs on time and at a cost that’s within your budget. Contact us so we can get started on your pool remodeling project today. Take a look at some of our pool remodeling work – before and after pool remodel.